Are you looking for a unique and bespoke event invitation? For the perfect couture wedding invitation, luxury event invitation, save-the-date cards and custom stationery, choose the experts at Luxury Printing. We are highly sought after for creating extraordinary luxury invitations, cards and stationery, perfect for weddings and events of all kinds. 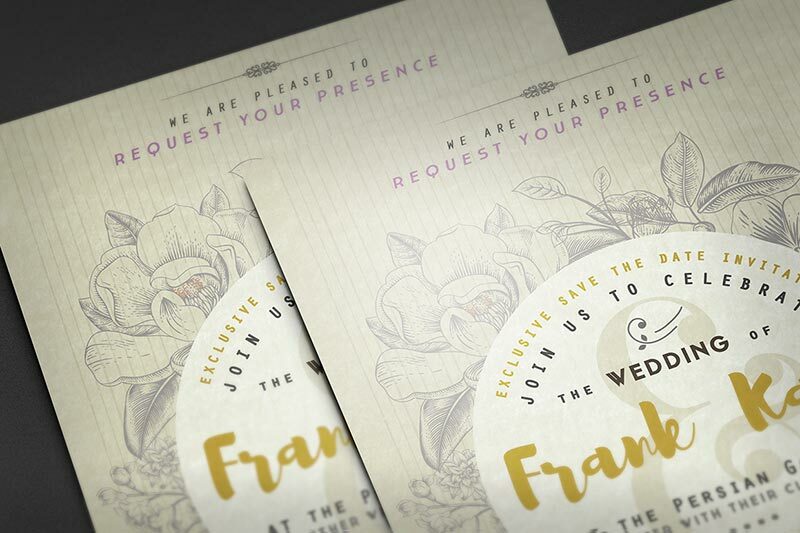 Our custom paper and card stock options are numerous, including luxe cotton papers perfect for wedding invitations. All our printed products can have unique enhancements including engraving, gilding, foil stamping, custom binding and die-cut designs, to help your invitation stand out from the crowd. Create the perfect, most beautiful invitation or card with us today.